Medication Adherence made easy with free services we provide like : Dispill ®, Parata Pass Pack and Blister Packs. 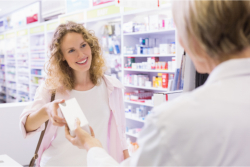 We provide you with the guarantee that our Retail Pharmacy Services are fast, efficient, and precise. If you have questions, please don’t hesitate to speak to our pharmacists on-site. You may also give us a call at 484-231-1014.